Planning application to be submitted for facility in Cumbernauld. Scotland could have a new permanent TV and film studio facility based in Cumbernauld, Culture Secretary Fiona Hyslop revealed today. In an update to the Scottish Parliament’s Economy, Energy and Tourism Committee, Ms Hyslop confirmed a private investor is expected to submit a planning application to significantly enhance existing production facilities at Wardpark Studios to create a TV and film studio complete with six sound stages, production offices, ancillary spaces and a back lot. 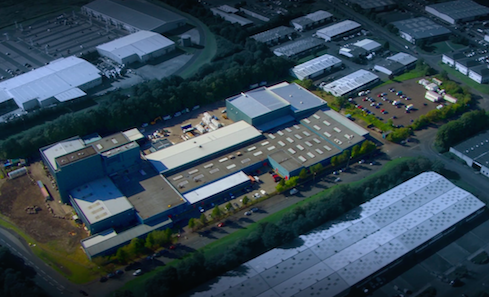 Plans to expand the facilities to provide an additional 30,000 square feet across two new 50 foot-high sound stages have been the subject of detailed negotiations between its owners Wardpark Studios Limited and the Film Studio Delivery Group (FSDG), comprising the Scottish Government, Scottish Enterprise and Creative Scotland. Negotiations around public sector support for the commercial venture, which must comply with strict EU competition rules, are now at an advanced stage. While a deal has not yet been finalised, Wardpark Studios Limited’s decision to seek planning consent is a firm indication of the site owner’s commitment to the project. It’s expected the planning application will be submitted to North Lanarkshire Council later this week. If the negotiations reach a successful conclusion and planning permission is granted, it will pave the way for the facilities at Wardpark to be completely overhauled. The FSDG also confirmed today that conversations are also underway with potential private sector investors in relation to additional studio sites in Scotland, and the group remains keen to hear new proposals. The FSDG's work to deliver enhanced screen studio infrastructure forms part of a wider public sector commitment to strengthen the Scottish screen sector. Three new funds totalling £4.75 million were introduced in 2015, building on the record £24.1 million of public funds awarded to support the screen sector in 2014/15. This week Creative Scotland confirmed it has made its first conditional offers from the new £1.75m Production Growth Fund. Totalling more than £800,000, these offers will support two productions to film in Scotland. A third application to the Production Growth Fund is currently under consideration. A new Screen Sector Leadership Group has also been established and Skills Development Scotland recently published a Skills Investment Plan for Scotland’s creative industries. 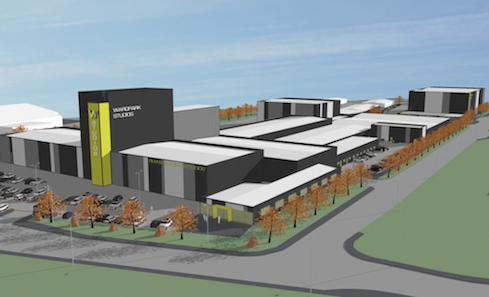 "Wardpark Studios Limited’s decision to seek planning consent for new studio facilities in Cumbernauld marks an important milestone in our work to strengthen the Scottish screen sector. “We’re seeing significantly increased activity in our screen sector. Film and TV producers spent an unprecedented £45.8 million shooting on location in Scotland in 2014. This record total – an increase of almost £12 million compared with 2013 – demonstrates a fast growing appetite for major productions to base themselves in Scotland. “Our work to ensure additional screen infrastructure is developed in Scotland and the new funds we have set up, are helping us to build on this growth – incentivising filmmakers from around the world to come and realise their projects in Scotland. “The Scottish Government, Scottish Enterprise and Creative Scotland are firmly committed to supporting screen sector growth. This is underlined by the record £24.1 million awarded to support the sector in 2014/15 – and the extra £4.75 million we announced last year across three new funds. “A huge amount of work has been going on behind the scenes since we published the feasibility report and invited the private sector to submit their proposals. “We’re really excited about the ambition Wardpark Studios has for the site and we’ve been working with them on various iterations of their business plan to secure further investment in Scotland’s screen infrastructure. “The company’s plans remain at a critical stage of consideration. But I believe Wardpark Studios’ decision to apply for planning consent to increase the size and scale of the existing facilities in Cumbernauld illustrates their long-term commitment to operate world-class studio facilities in Scotland. “Our existing facility has been a major success for Scotland, attracting Sony’s award-winning historical drama Outlander’s first and second series. “We want to enhance the existing four sound stages with a further two stages to expand and grow productions using the facility. “With each production using the site, the benefits to the local and national economy are increased, reaching far beyond simply the studio and deep into the supply chain. “The response to the launch of the Production Growth Fund in September 2015 has been very encouraging and Creative Scotland’s Screen Commission has seen a marked increase in enquiries from UK and international productions considering accessing that funding and shooting in Scotland. Several applications have been received and the first conditional offers made, which will mean that awards totalling more than £800,000 will support two productions to film in Scotland in 2016. “In order to support local productions and attract UK and international productions, Scotland needs a full range of options for stage space and production offices: purpose-built studio facilities; full-time conversions such as the space currently used by Outlander at Wardpark; and build space like The Pyramids in Bathgate, and the Pelamis Building in Leith. “Converted and build space in Scotland that is currently being marketed compares favourably with similar space marketed by other UK nations, but we also need purpose-built space in order to compete effectively. We are working through the FSDG to realise a purpose-built studio facility in addition to the existing full time converted space at Wardpark. We continue to investigate other potential options where there is interest from the market and appetite from private investors."